People with very young children will only be too familiar with the problems packing everything into a car for a trip away! Child seats, buggies, prams, travel cots, toys, as well as all your usual holiday things. There is NEVER enough space in any type of car! Struthan Cottage aims to make more space for you in your cars! From today, as well as the current travel cot and high seat, there is now a baby buggy, suitable for children up to 3 years old at your use permanently left at the cottage. 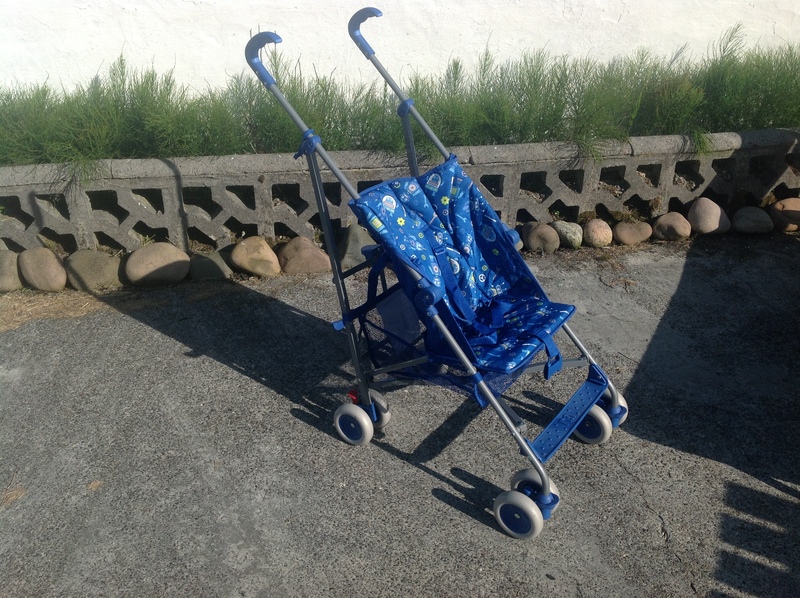 This collapsible buggy is sturdy and is located in the cupboard. It all saves on space and something else you don’t need to bring to this very well equipped cottage. With a fully walled garden, Struthan Cottage is very child (and pet) friendly.